Have you heard? Amazon is buying the trendy American health food grocer, Whole Foods Market for AU$18billion and everybody is talking about it. As one of the most widely discussed acquisitions of 2017, this purchase will not only catapult the online giant into hundreds of physical locations across the US, it’s said that Whole Foods is the last piece to the Amazon supply chain puzzle. So who knew that when Amazon bought Whole Foods the world would go slightly insane? We cover what it means for regular, old supply chains here. The world was rattled when Amazon first made news of the all-cash deal. Amazon has been working on a way to integrate it’s “grab and walk out” technology, otherwise known as Amazon Go, but couldn’t quite get there due to technical difficulties. For the last few years, retailers and supply chain managers have looked at Amazon Go as the peak of grocery shopping. For those who may not know about it, Amazon Go is a grocery shop concept like no other in the world. It’s designed for shoppers to register through an app, and then via the magic of machine-learning, they can simply pick a product off the shelf and walk out. The shopper is then charged for the items once they leave the grocery store. Many readers may not be concerned with the goings on of an American online and soon-to-be retail giant. But the fact of the matter is, this deal will have rippling effects throughout all of retail and supply chian management across the globe. And the reason for this? It puts pressure on businesses everywhere to compete with the new standards of eCommerce, and it will make it more important than ever for organisations to deliver the right product, at the right time. Many of us may feel meek in comparison to the purchase of one grocery giant from another online-mega-giant, but there are things we can learn from this in a changing supply chain landscape. Although we all thought Amazon couldn’t get any larger, there is ground the online seller isn’t covering: the offline experience. Having physical locations scattered around the country means the online giant can now offer it’s products online, it’s brick and mortar stores can fulfil online orders, physical orders, and it can offer pick-up in store services. Omnichannel may not be the best strategy for all businesses, but it's certainly a sturdy strategy if you want to get both online and offline customers. 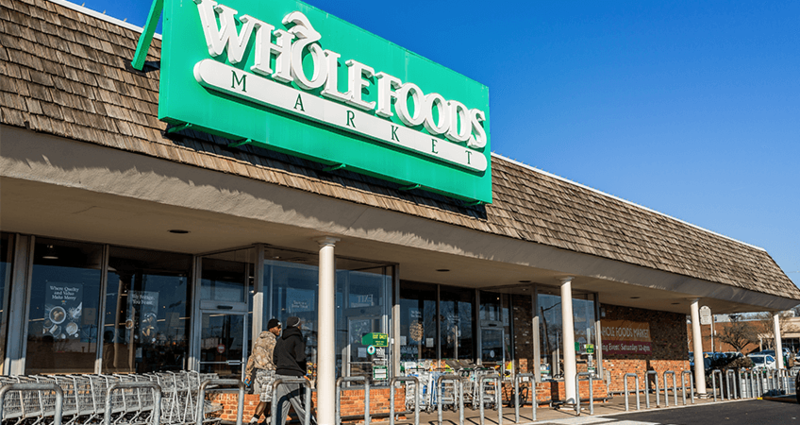 Many people questioned the logic as to why Amazon purchased Whole Foods Markets specifically and not one of the many other retailers in the US that would have been more than willing to sell. But Amazon didn’t just blind fold themselves and land on the first dot on the map. Analysis showed that 20% of Amazon consumers bought at least one item from Wholefoods in the last year. Meaning the acquisition was a perfect fit for Amazon not only because of the expensive grocery network, but because their customer base has a decent crossover. If you're considering an omnichannel strategy, make sure you can reach your customers in any new channels you'll be moving into. After all, it's a waste of time and effort to be omnipresent if your customers don't need you to be. And it couldn’t be said enough. Innovation isn’t only what gets the media talking, it’s what provides the foundation for continual improvement. Amazon is offering the first ever completely cashier-free store, and although the pilot is still in its early phases, it has the potential to grow nationally. If you're interested in the future of supply chain management, intralogistics and logisitics, then join the CeMAT AUSTRALIA 2018 Exhibition. There'll be free educational and practical sessions to guide businesses through digital transformation, as well as the latest in supply chain automation and integration of digital technologies. Get your free pass by clicking on the image below.